SO WHAT ARE YOU DOING THIS OCTOBER? Every year, the month of October is dedicated to help and spread the word about Breast Cancer. It’s called “Pink for October” in an effort to raise awareness for the most invasive form of cancer. I was a part of the successful event last year and had trained 100 participants of diverse nationalities at Dubai for the same. This year the response has been tremendous for “painting the town pink” and many brands are participating this time around to offer their support. 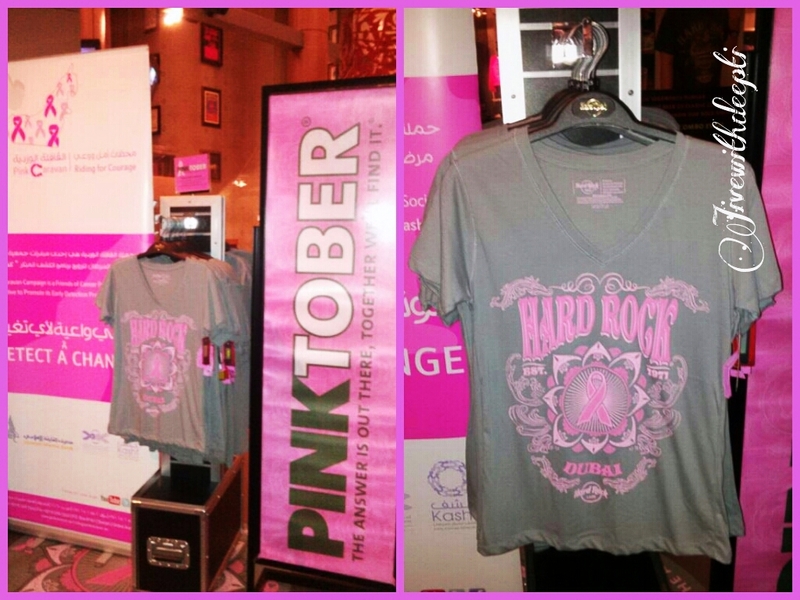 Hard Rock Café Dubai is fighting for the cause of “Breast Cancer” with their campaign #PINKTOBER. If you buy T-shirts from Hard Rock Café Dubai, a substantial proceeds from the same goes to fight the cause. Answer is out there, together we will find it. Stop-by at Hard Rock Dubai today and grab this T-Shirt. 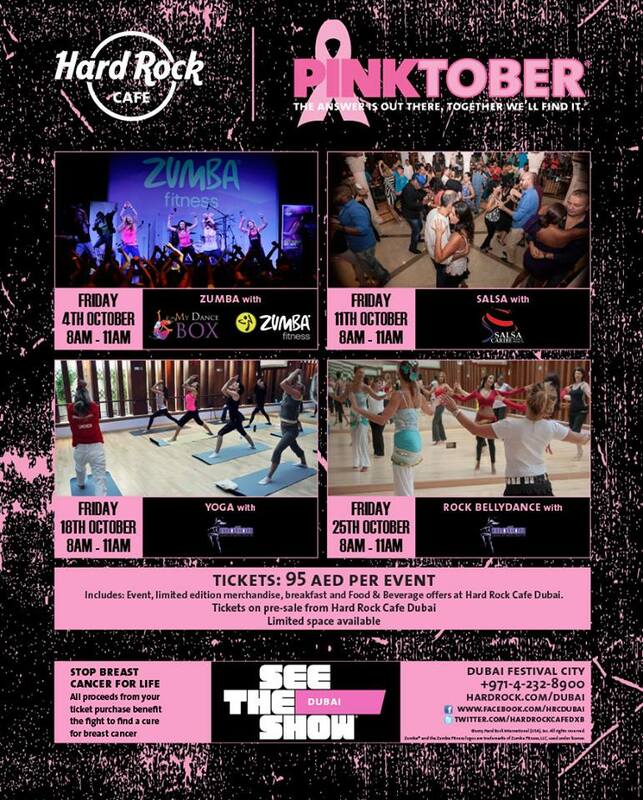 Not only this , Hard Rock Café Dubai has also organized: Pinktober Charity Time Gathering on 11th October Friday. You can buy a ticket for AED 95 which is inclusive of Event, Limited Edition Merchandise, Breakfast & Beverages offers at Hard Rock Cafe Dubai & the unbelievable experience of being part of this world-wide event. All proceeds from your ticket purchase benefit the fight to find a cure for Breast Cancer. Burjuman: Safe and Sound campaign is one of the largest breast cancer awareness campaign in the region and its going strong since 1997. Burjuman is turned Pink for this month. 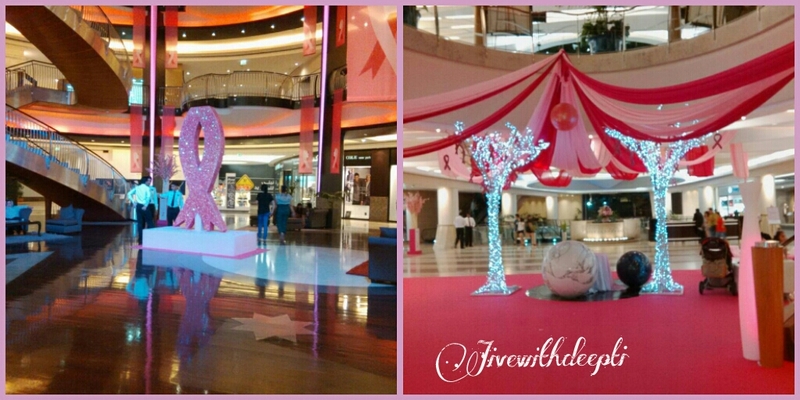 They have organized the #PinkWalkathon2013 that takes place on Friday, November 1. You can register yourself at any of the Information counters at Burjuman Mall from October 6th.The Registration Fee is AED 50 for adults & AED 30 for children aged 8-12 years. Children below 8 years of age do not need registration and walk for free! 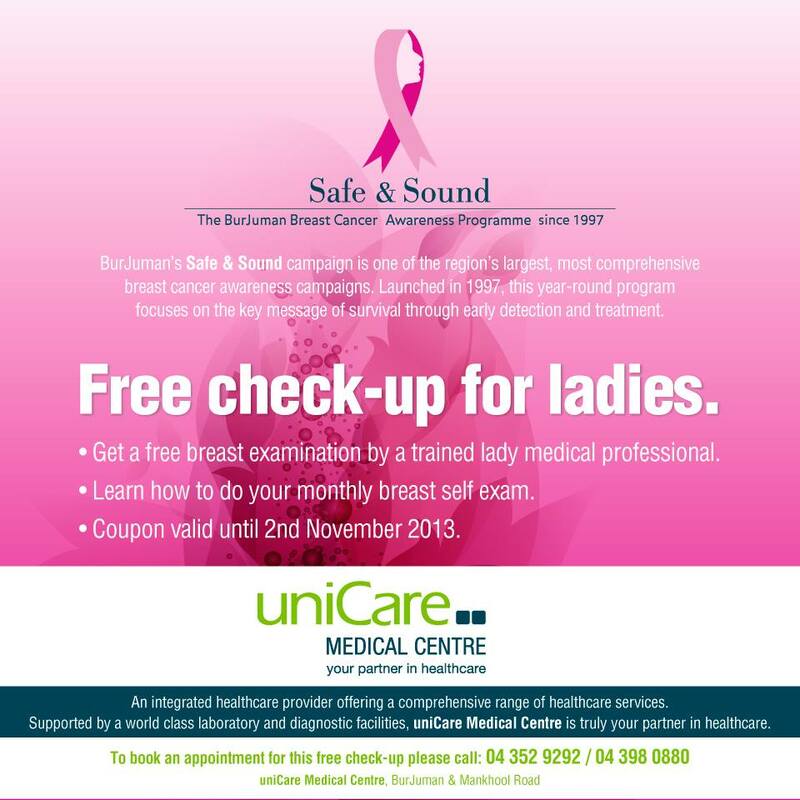 Unicare Medical Centre as part of the Burjuman Safe and sound campaign is offering free check-up for Ladies. One can collect the coupon from any information counter and book the appointment with Unicare Medical Centre till November 2nd, 2013. Let us all fight for the cause. Spread the good word.